UNE Vice-Chancellor, Professor Annabelle Duncan, pays respect to a fine UNE academic. Image: Professor Lily Pereg outside her UNE office. 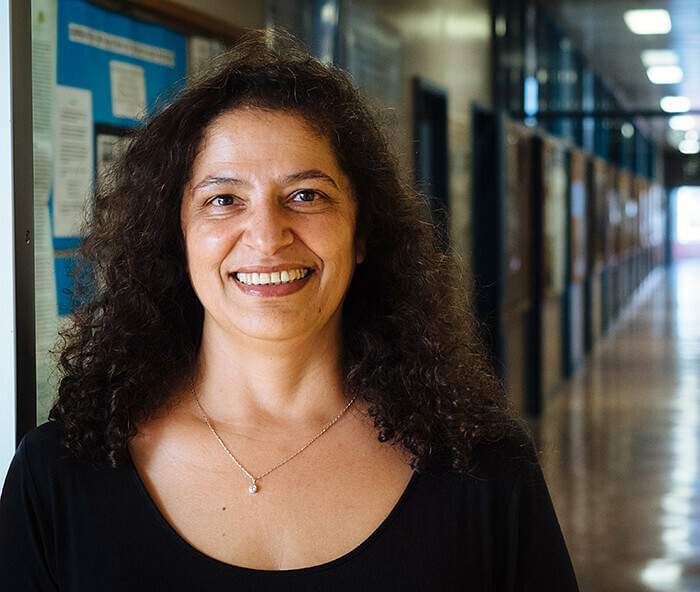 Yesterday the UNE community was rocked by the tragic news that our friend and colleague Professor Lily Pereg's body had been found in Argentina. Our heartfelt condolences go out to her family, friends, colleagues and students. Lily was known as a kind and generous person who always made the time to guide and mentor her students and colleagues alike. She had an adventurous spirit and loved to travel. Lily has been a member of the UNE community and an integral part of the School of Science and Technology for 18 years. She was appointed to UNE as a Lecturer in May 2001. Prior to this she had concluded a Postdoctoral Research Fellowship at the University of Cologne, Germany having completed her PhD at the University of Sydney in 1998. Lily taught microbiology, biochemistry and biotechnology and was held in high esteem by her colleagues and students as a committed and dedicated academic. She was acknowledged nationally and internationally as a leading scholar in the fields of soil microbial ecology and plant-microbial interactions. Her international standing in the field was recently recognised with her election as the President of the European Geoscience Union Soil Systems Science Division and promotion to full professor last year. The University will be in touch with her family and will be working with her colleagues and students to acknowledge her contribution as a scholar, and to celebrate her life at UNE.